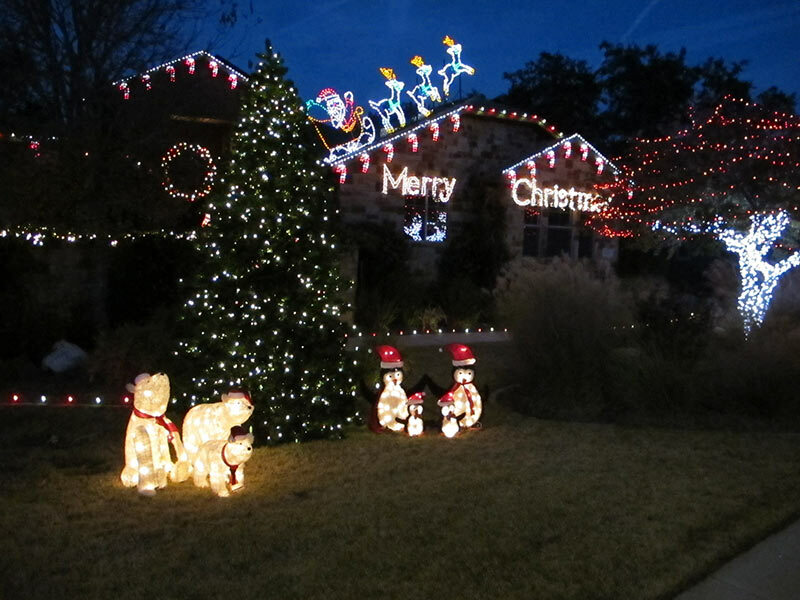 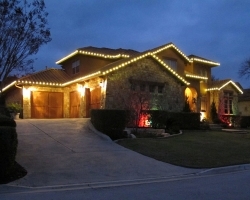 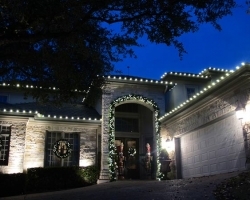 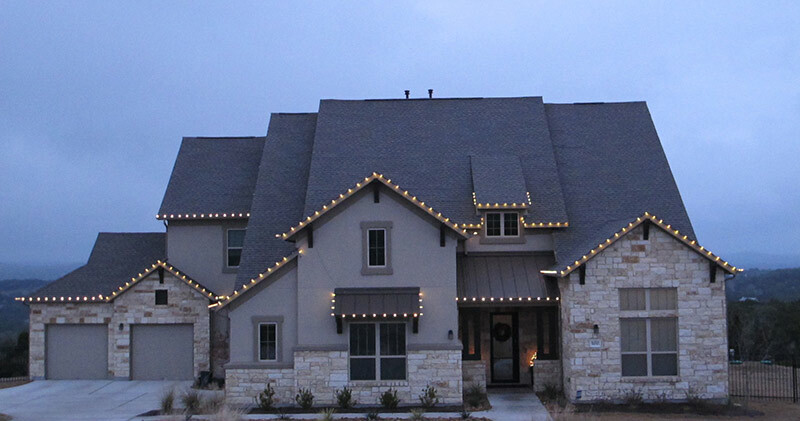 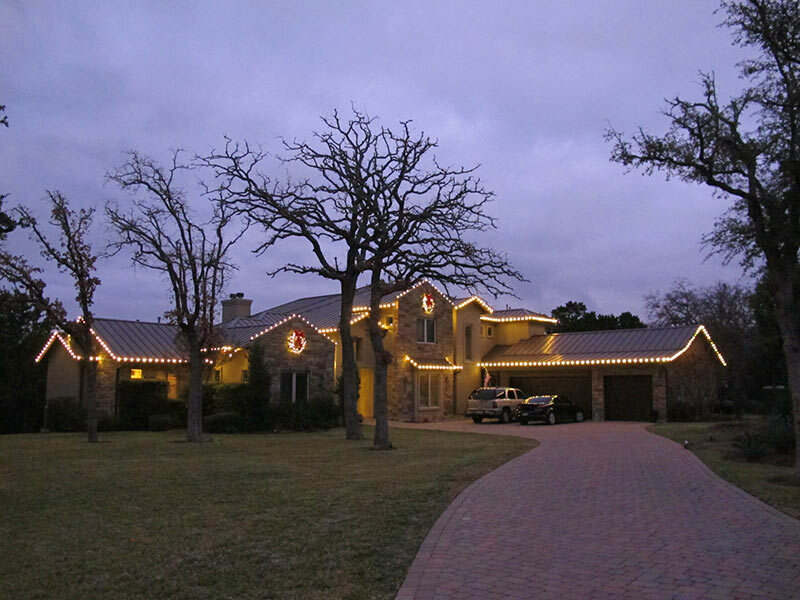 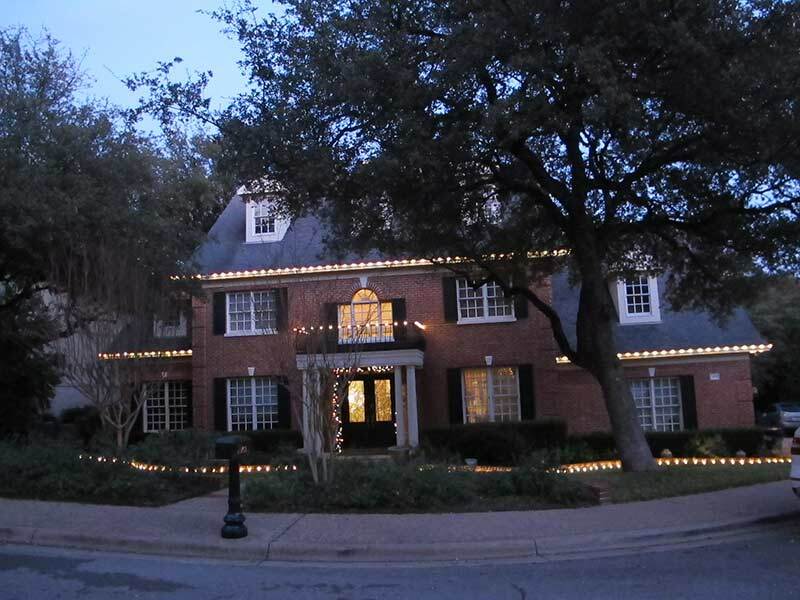 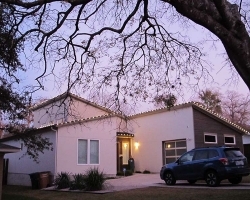 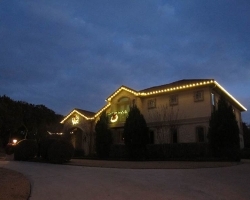 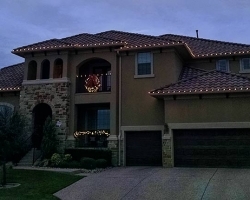 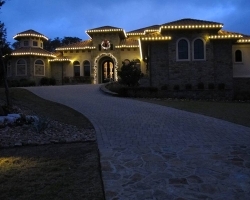 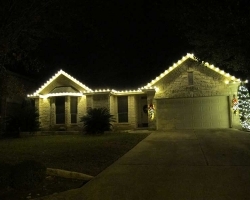 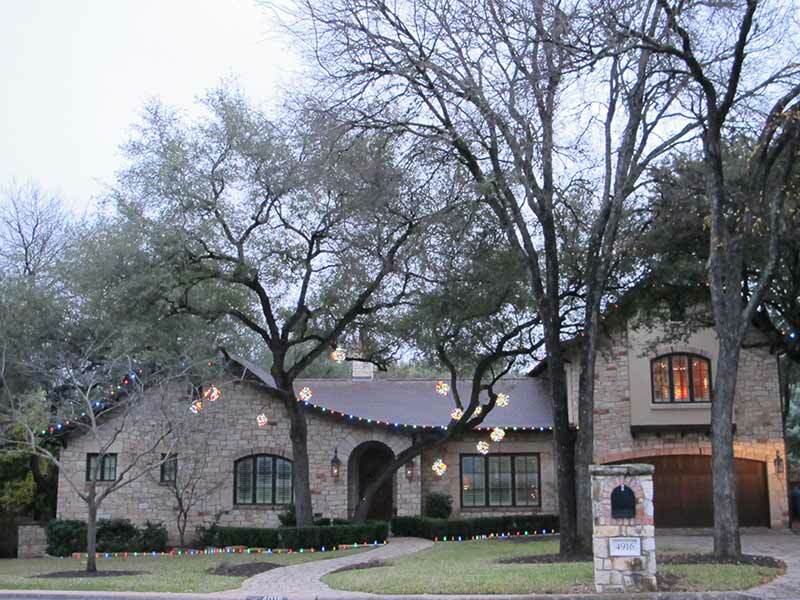 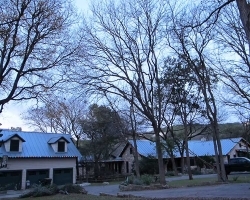 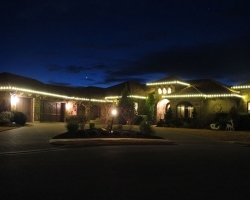 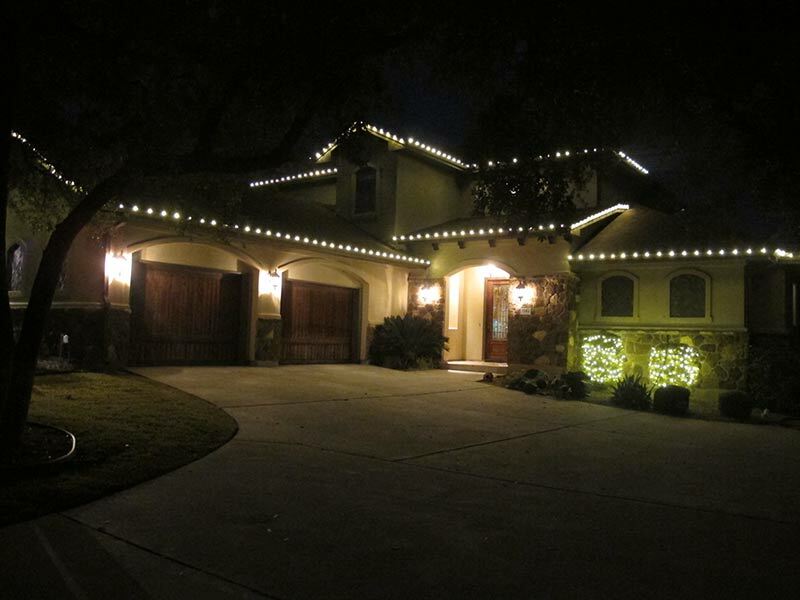 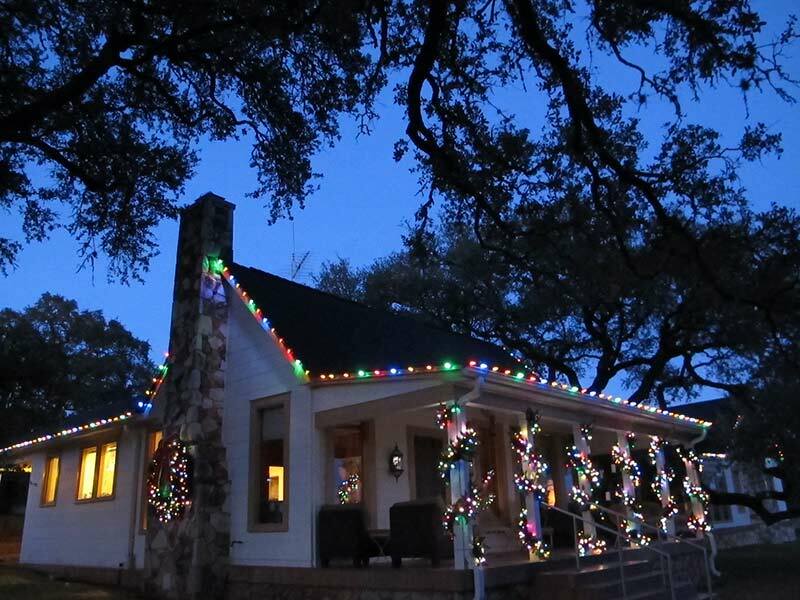 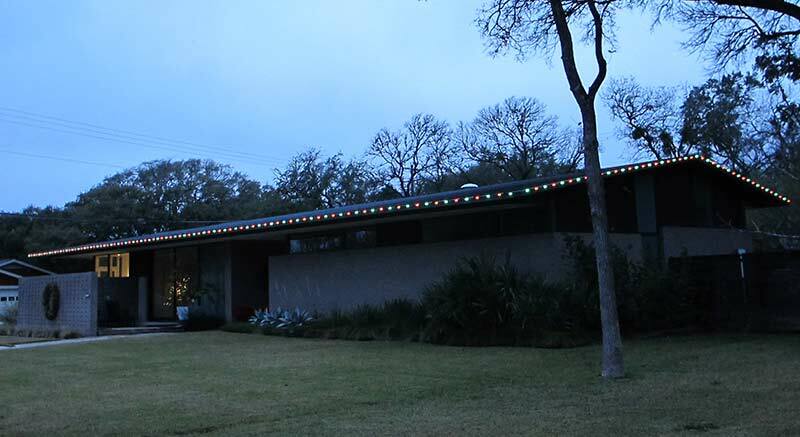 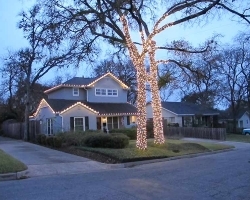 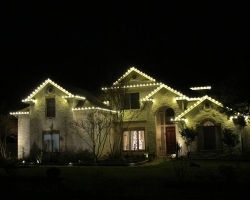 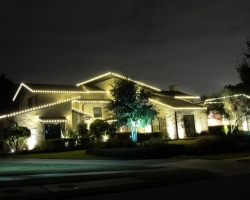 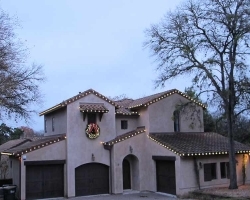 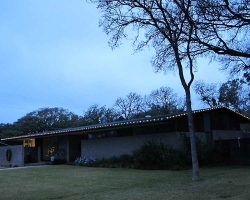 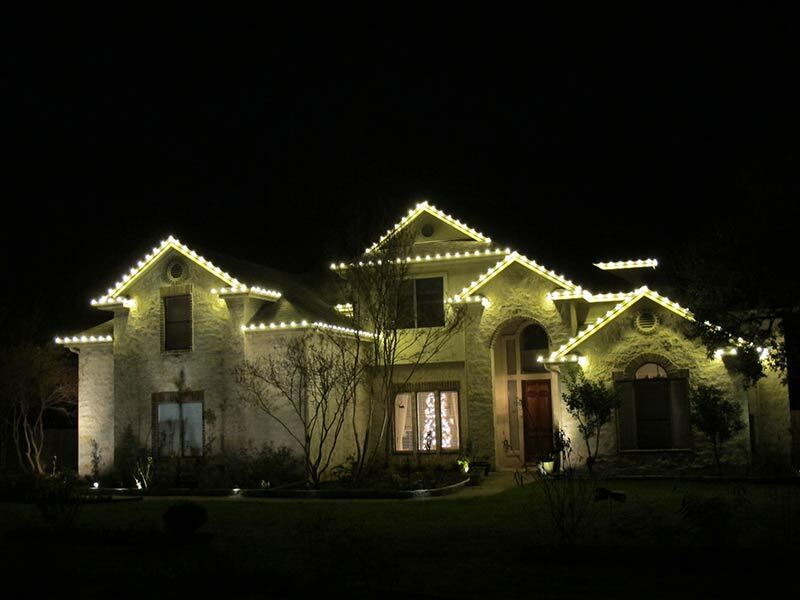 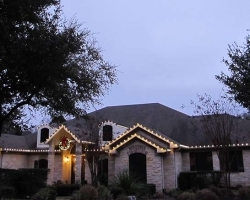 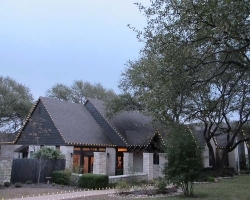 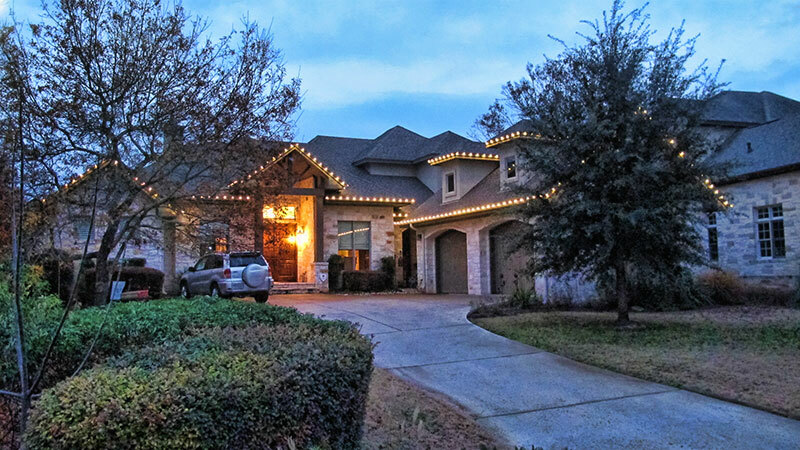 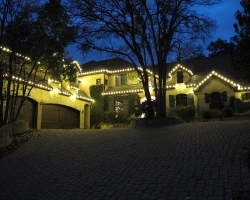 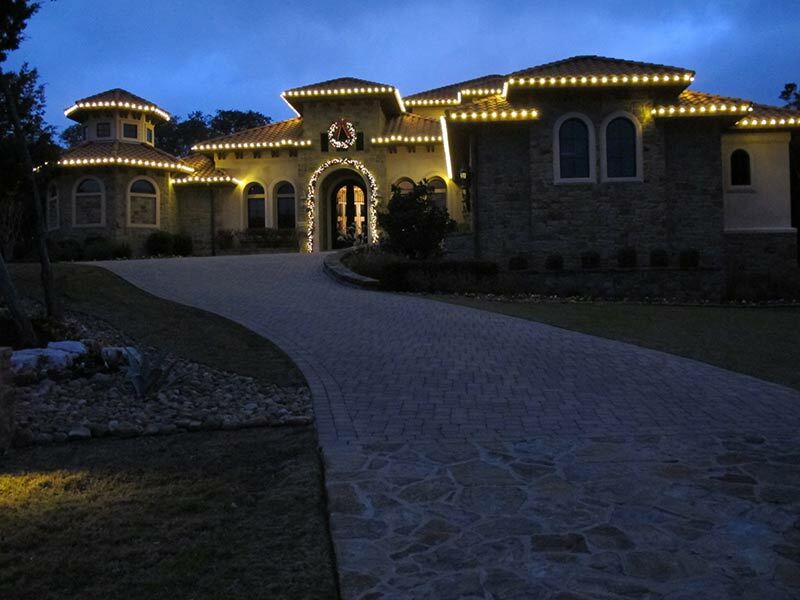 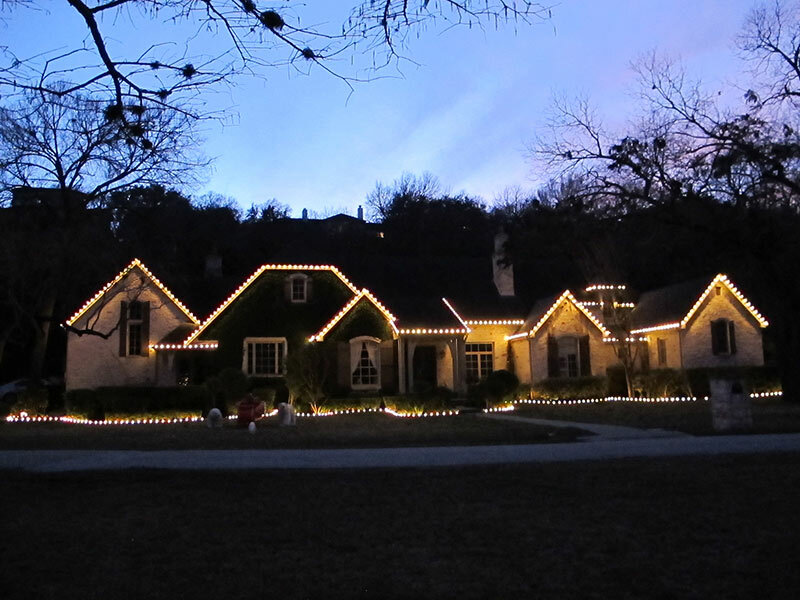 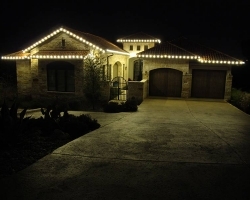 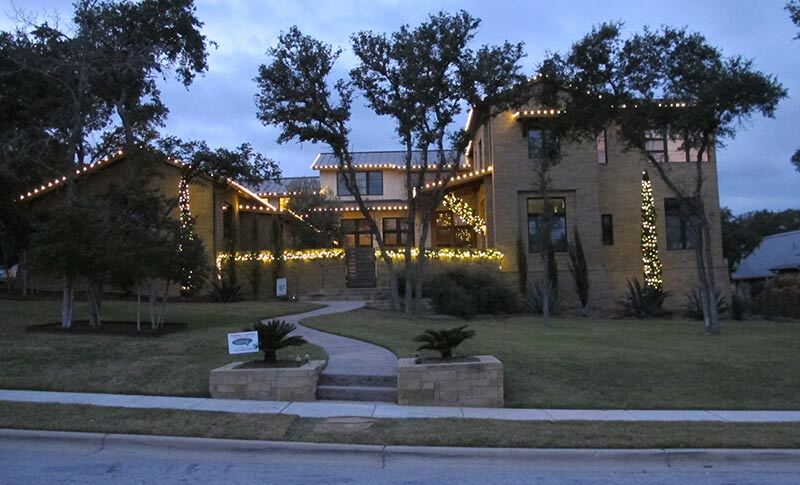 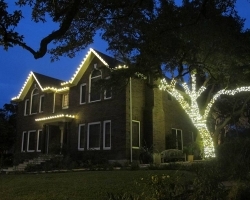 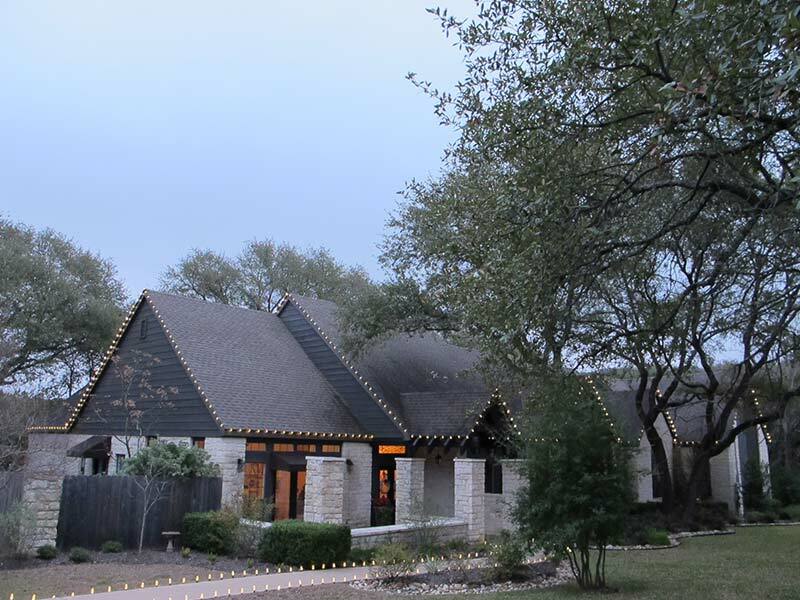 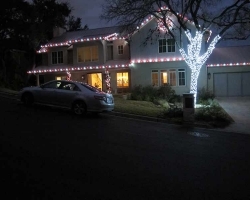 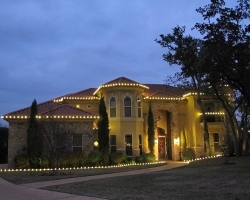 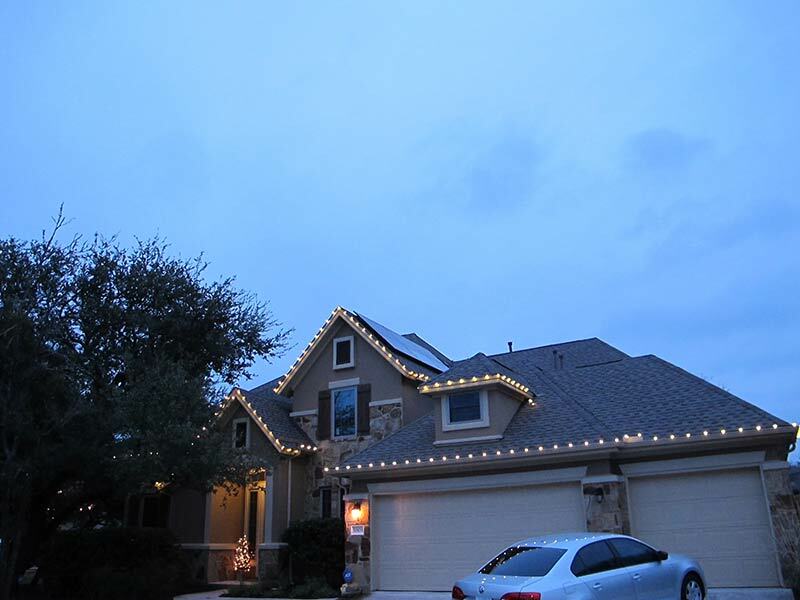 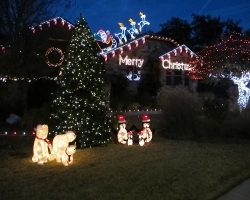 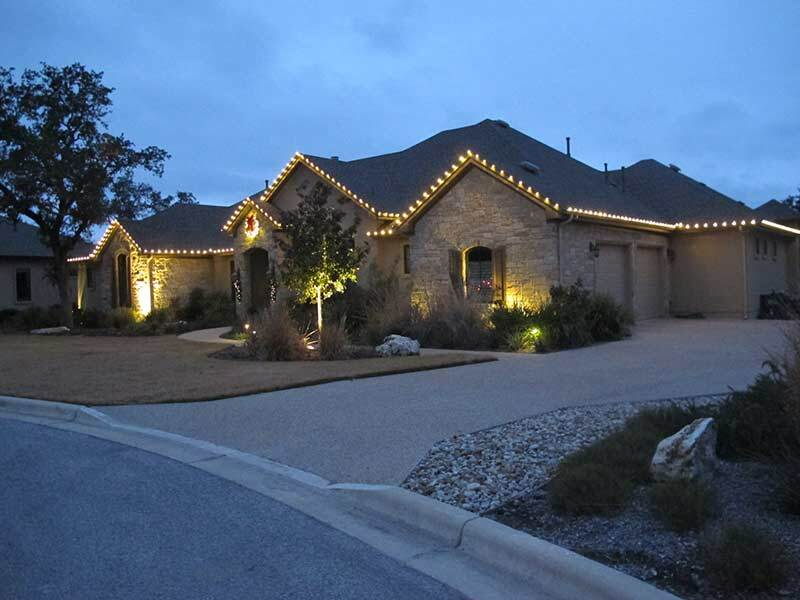 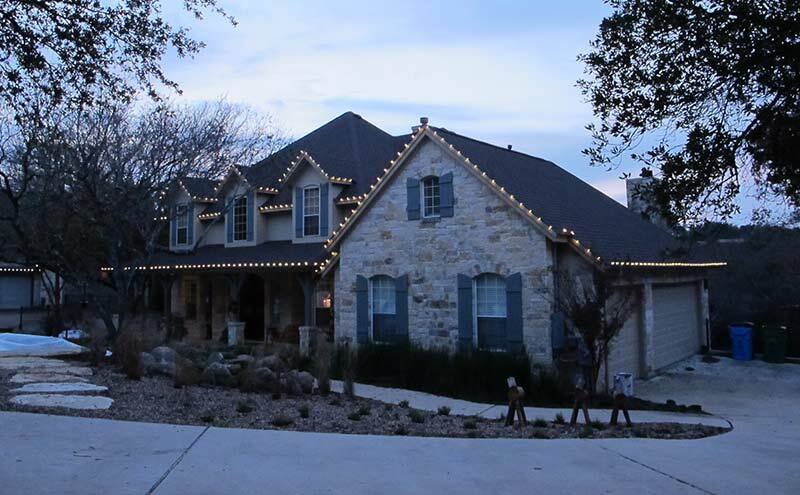 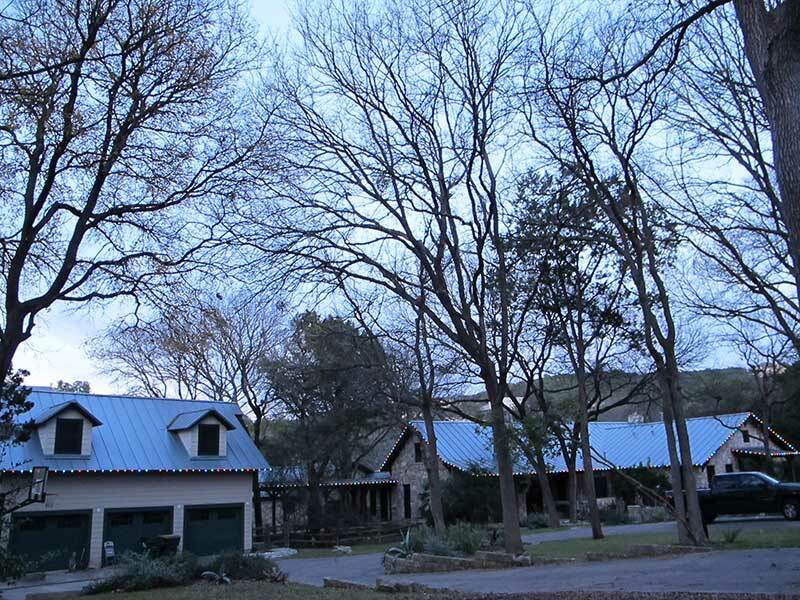 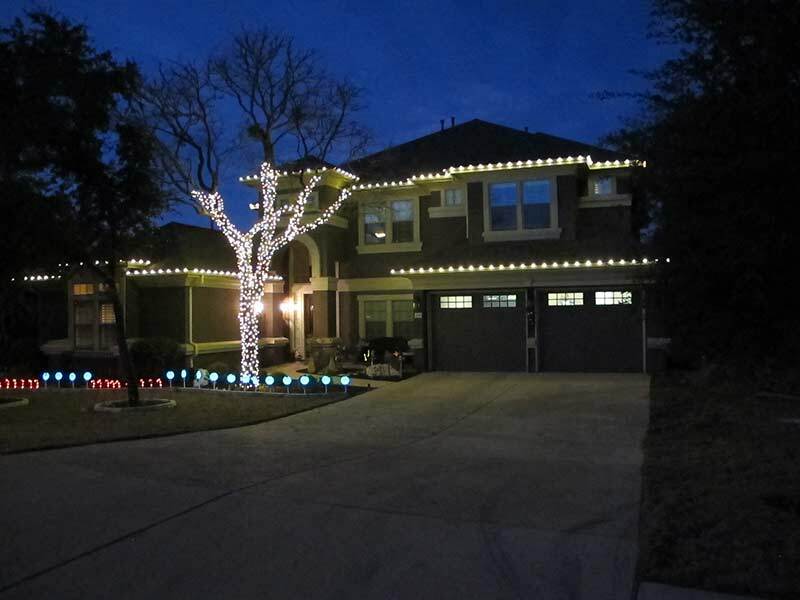 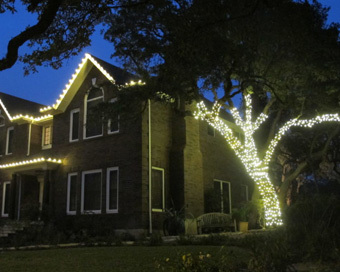 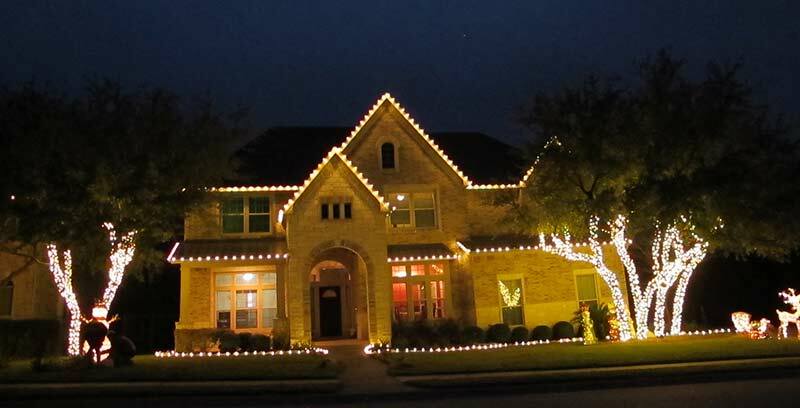 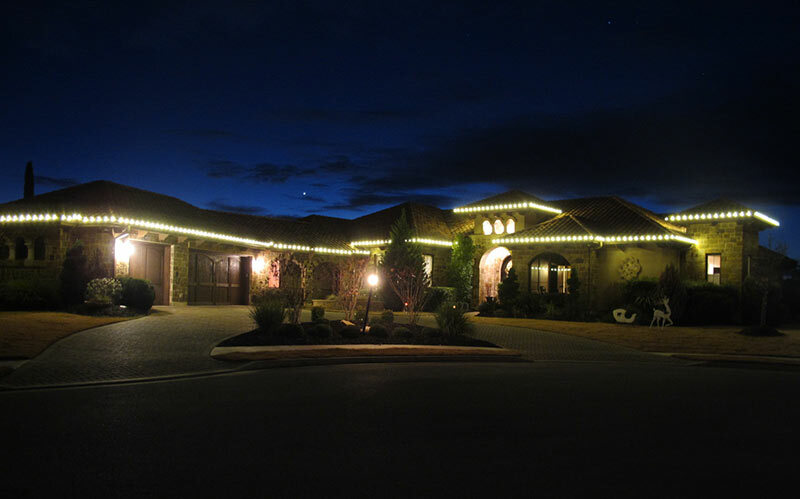 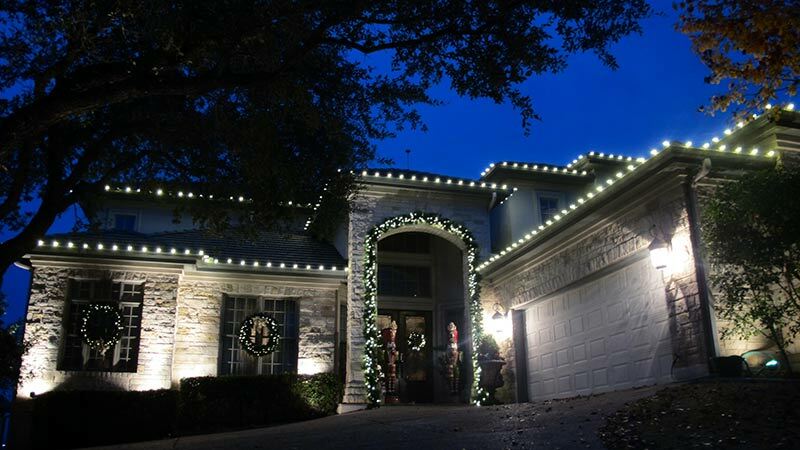 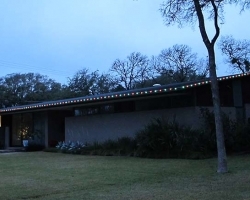 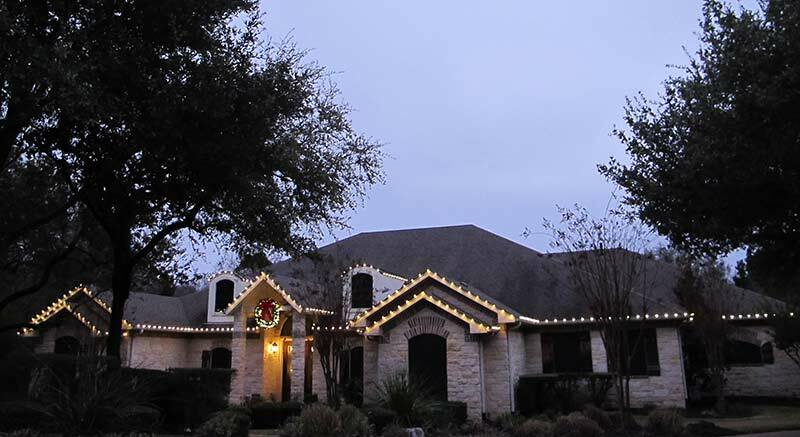 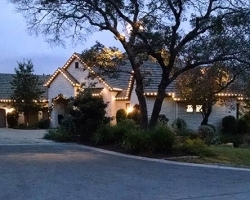 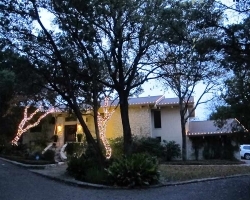 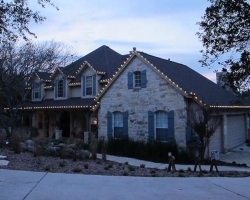 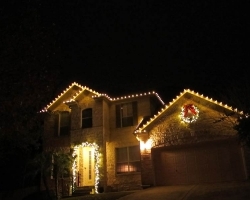 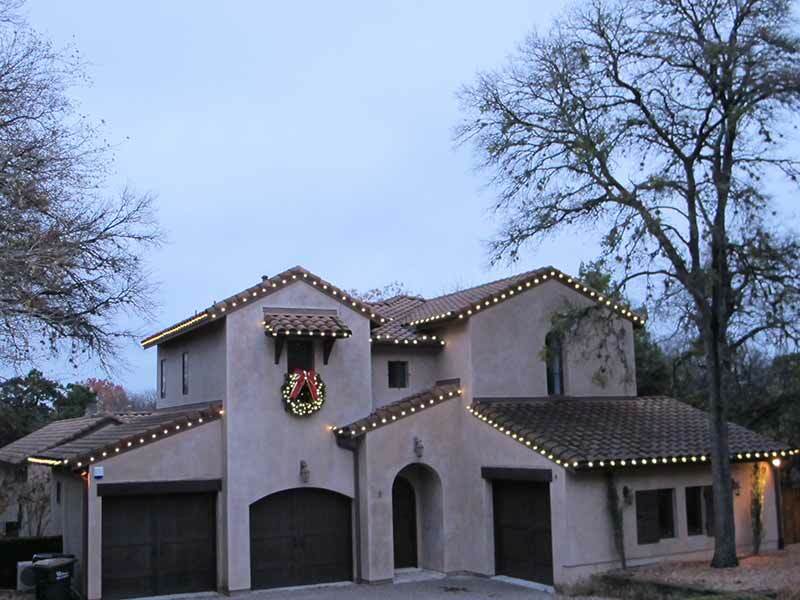 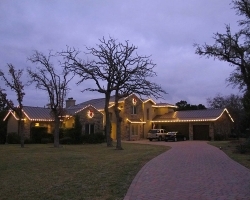 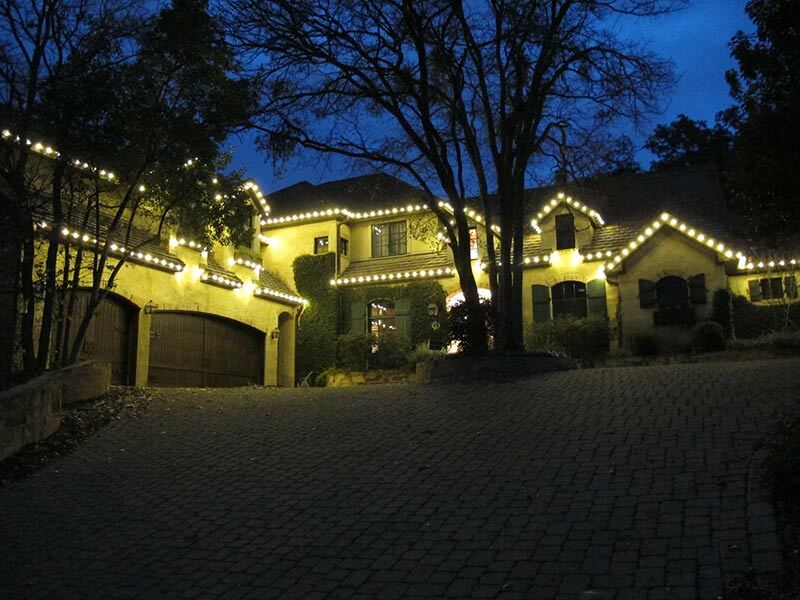 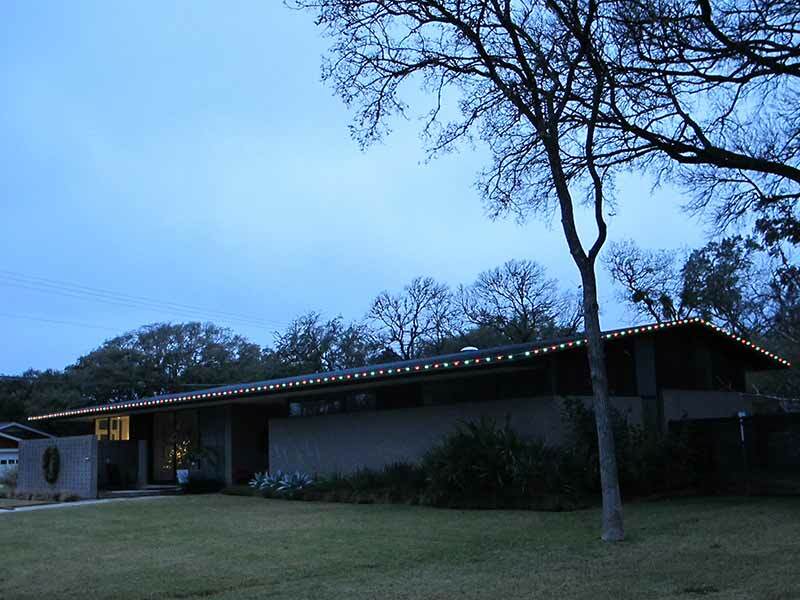 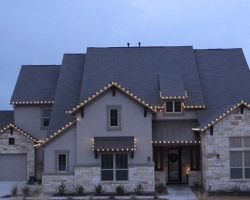 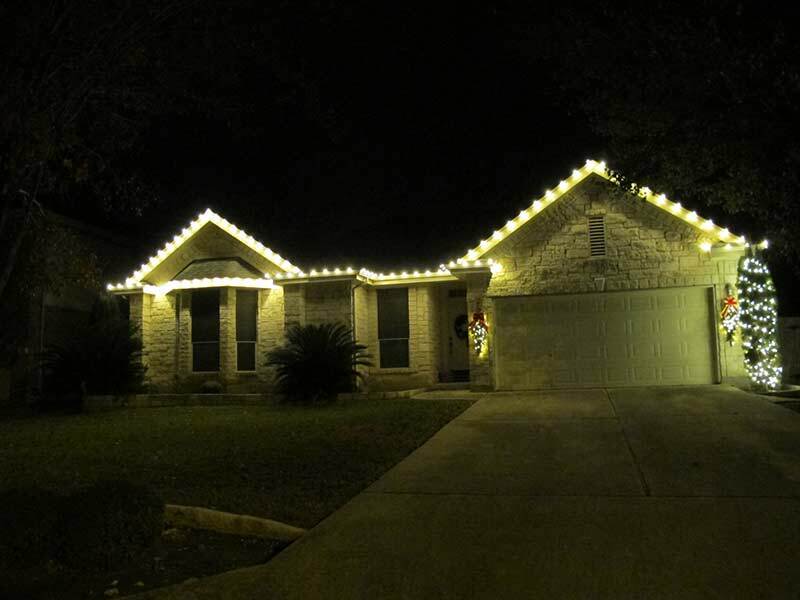 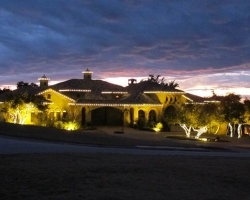 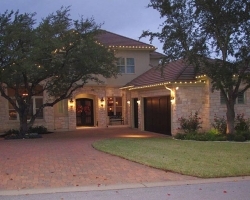 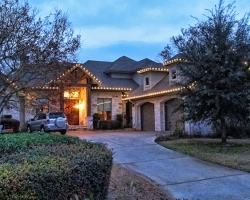 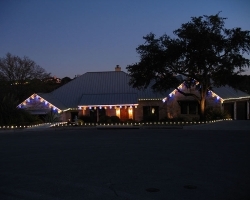 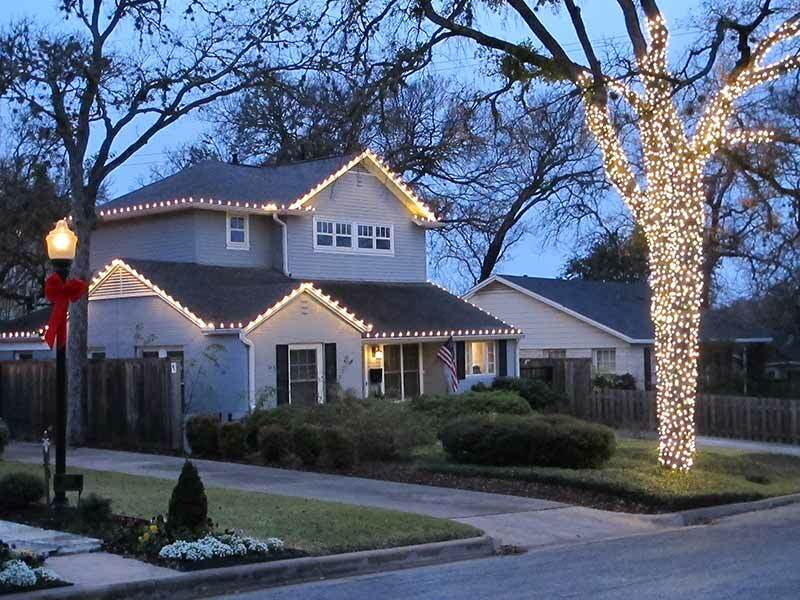 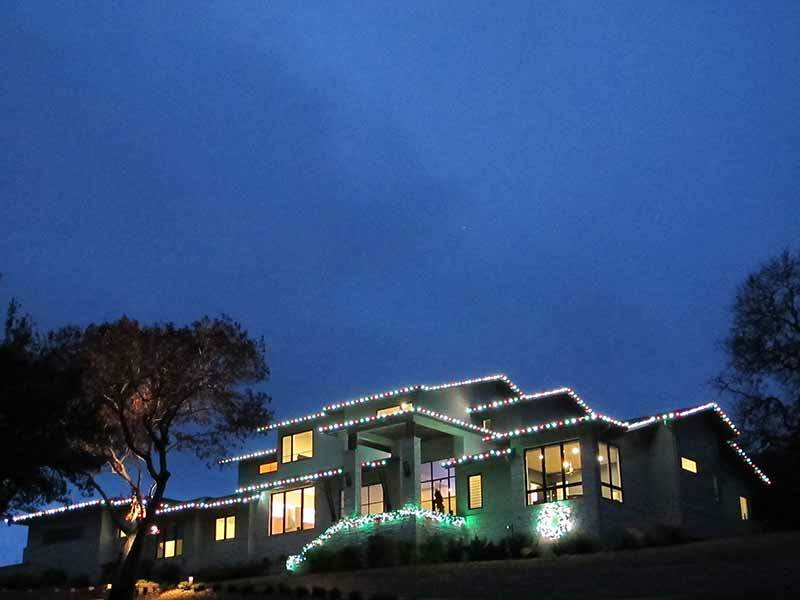 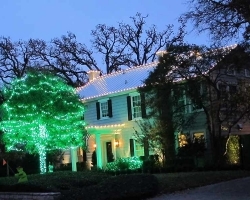 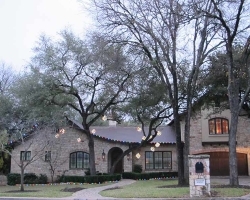 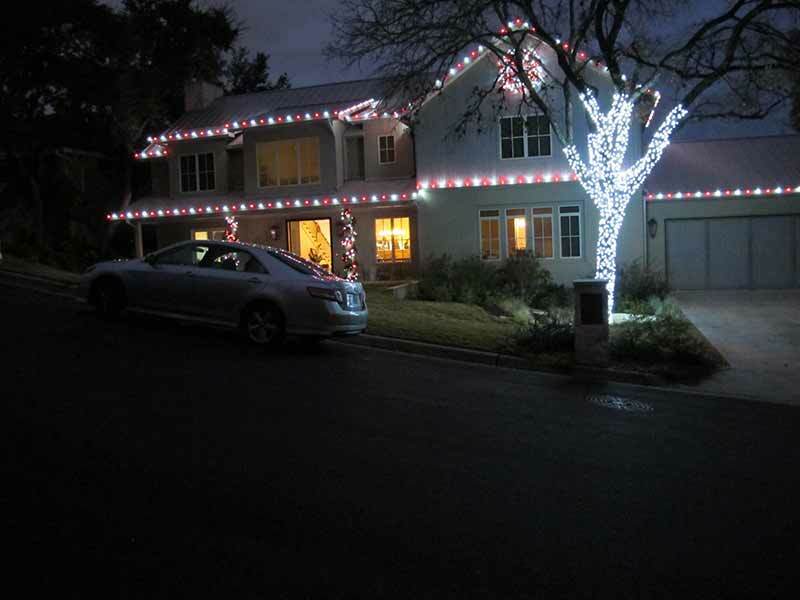 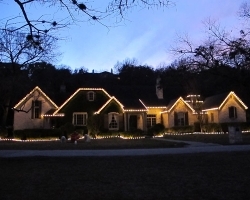 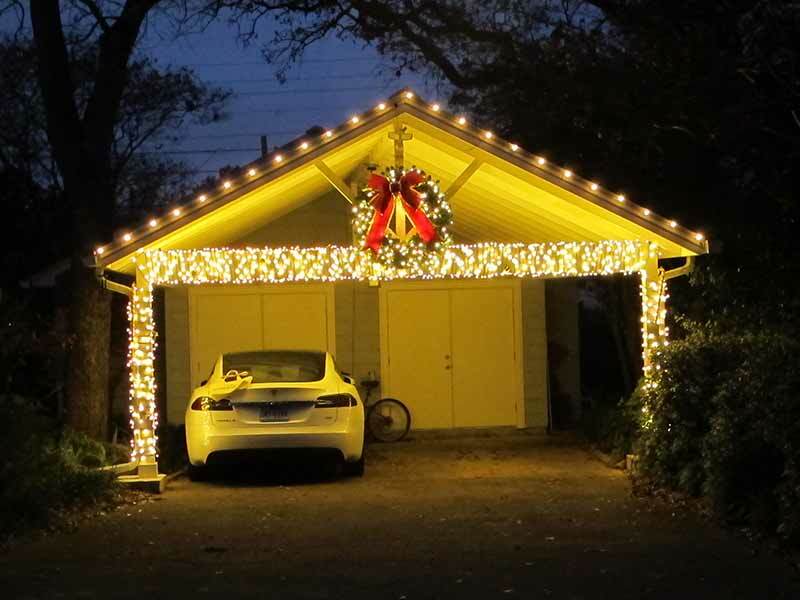 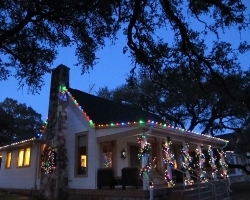 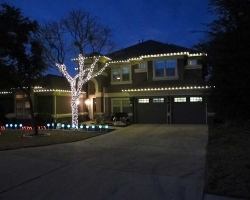 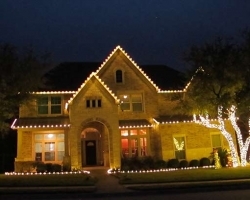 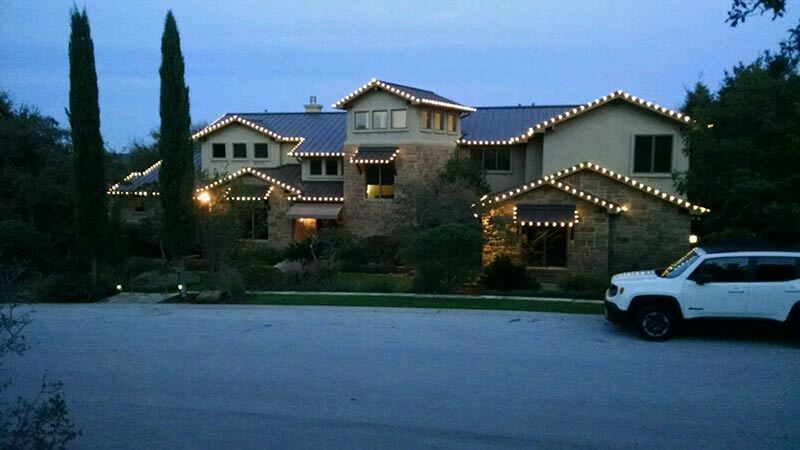 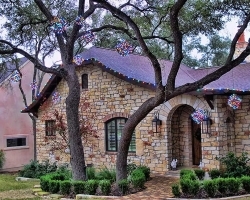 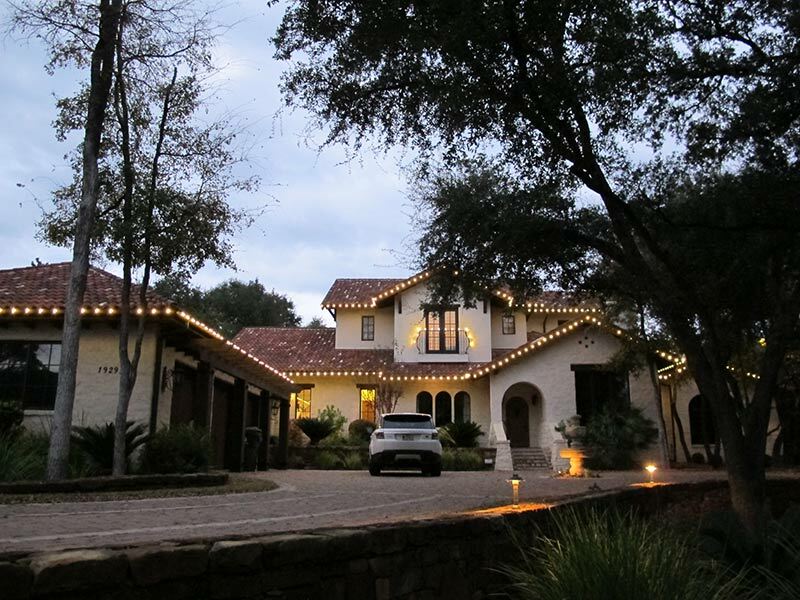 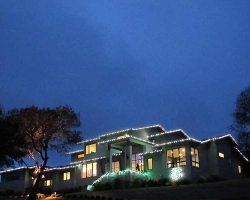 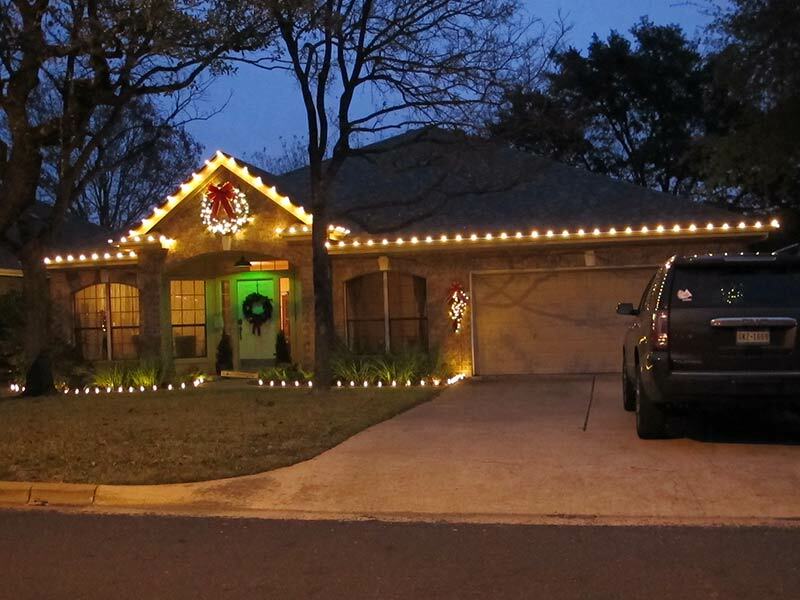 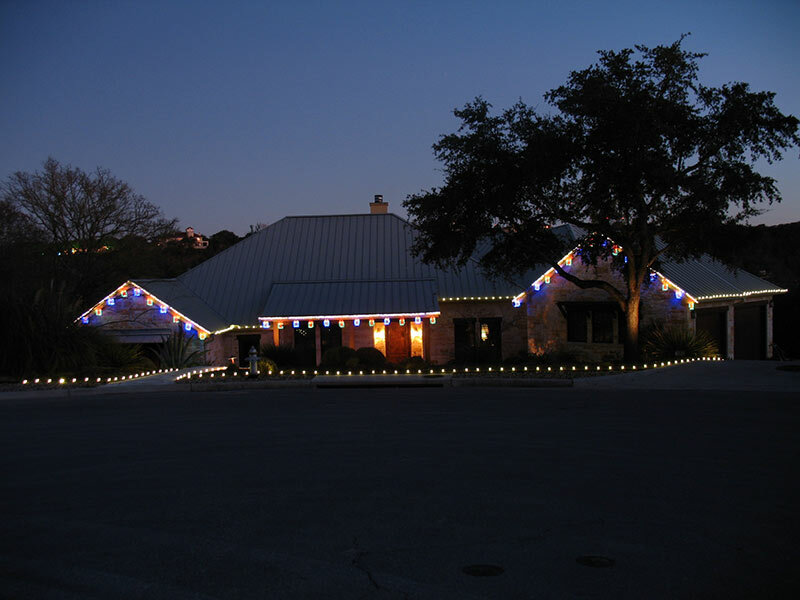 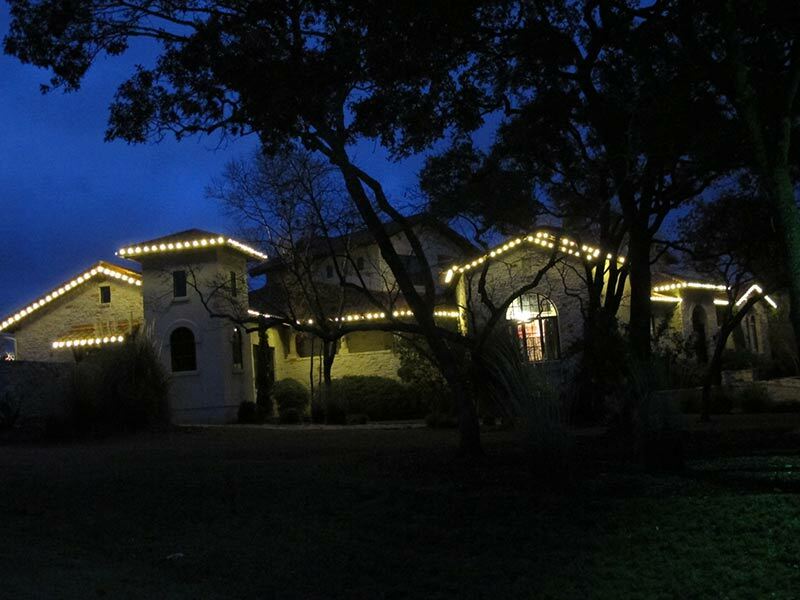 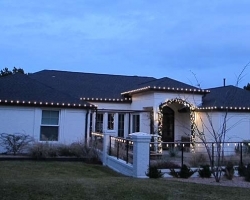 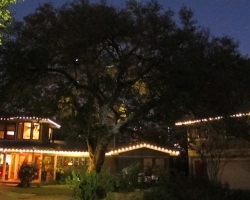 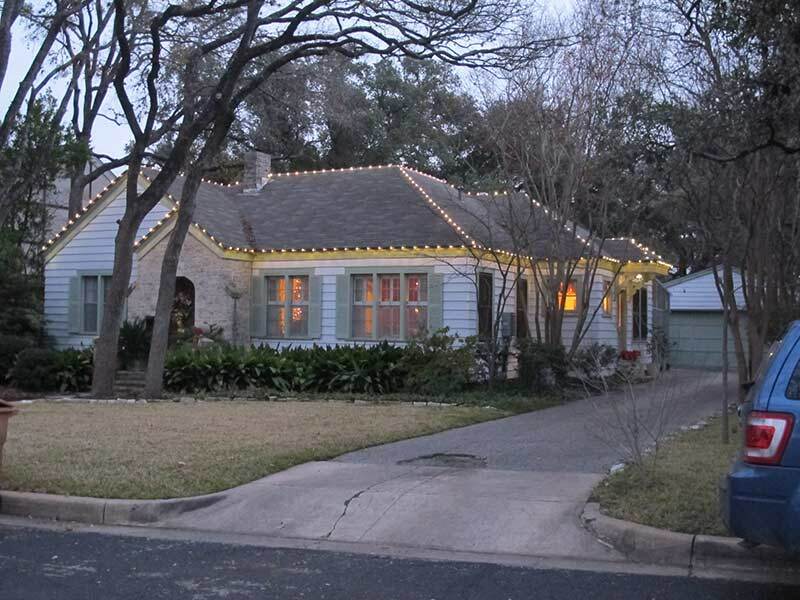 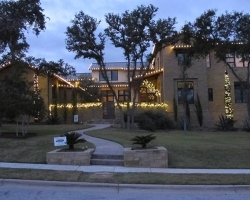 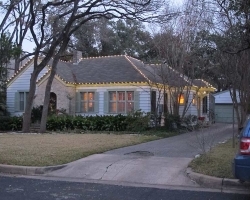 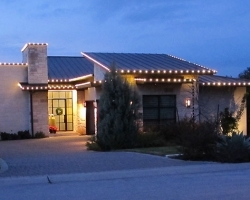 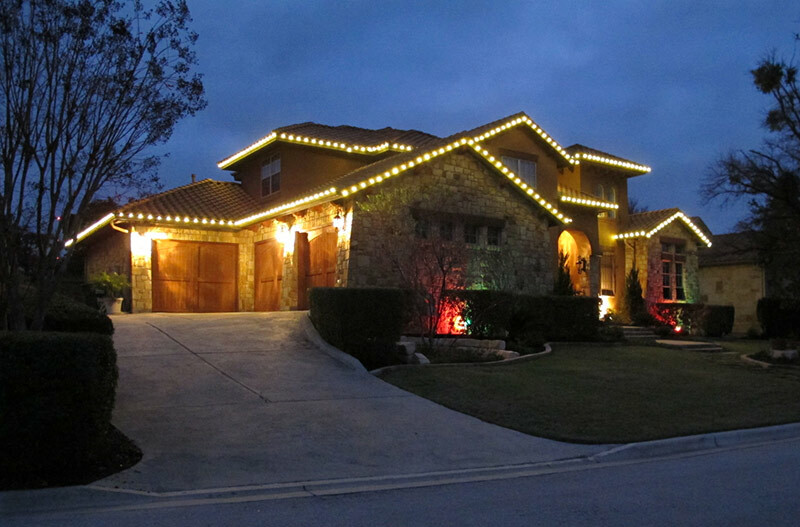 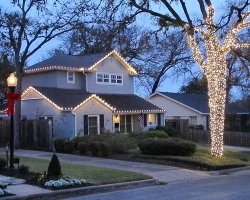 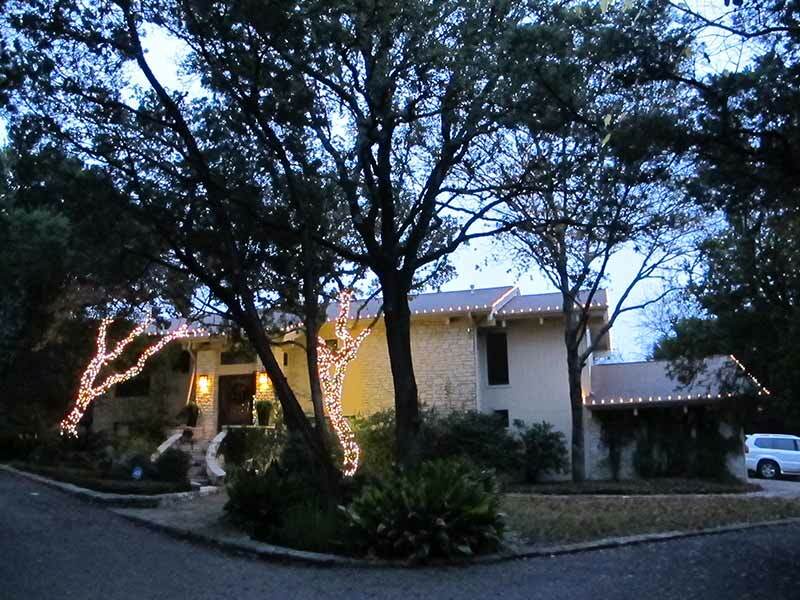 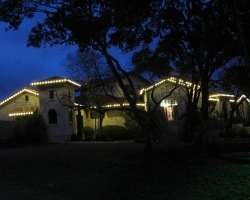 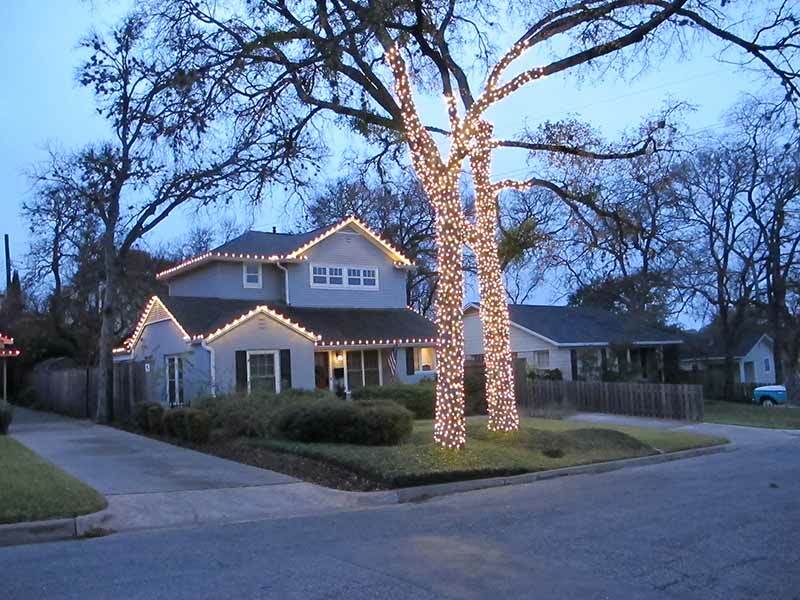 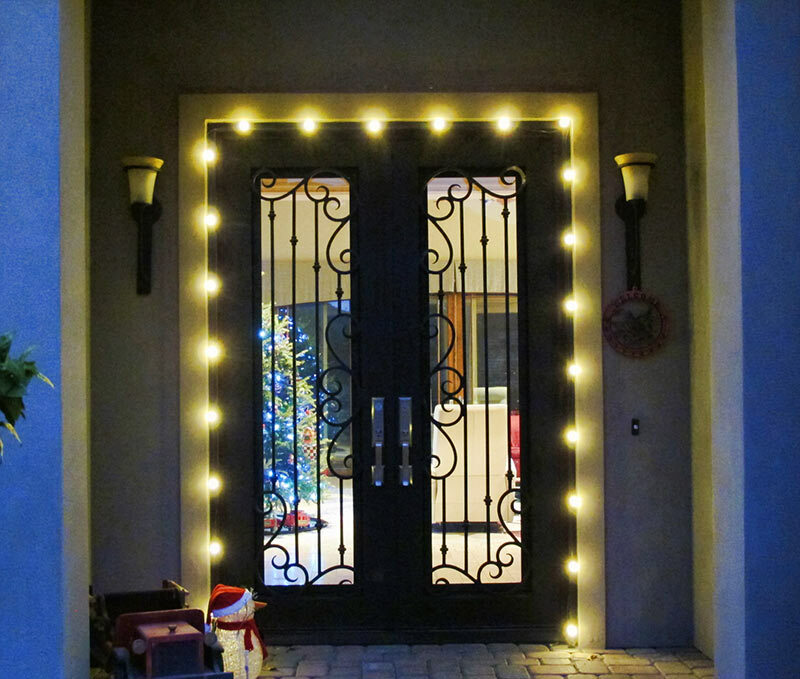 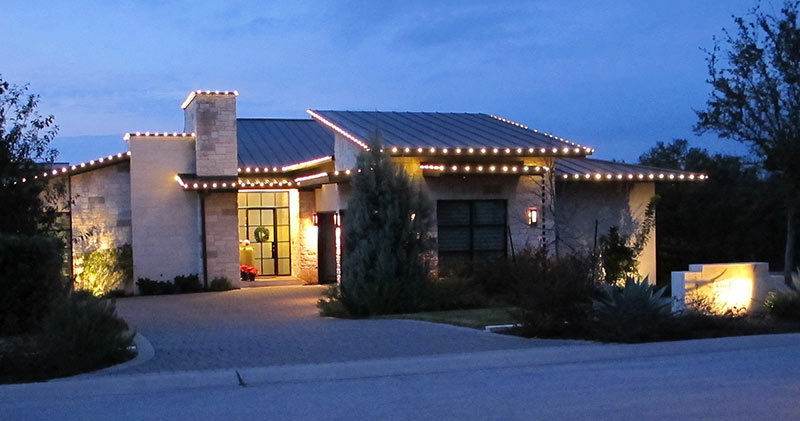 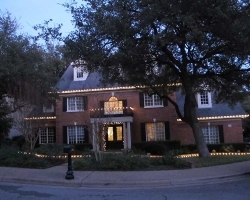 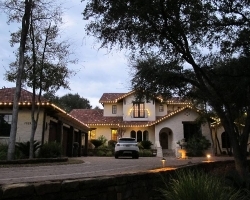 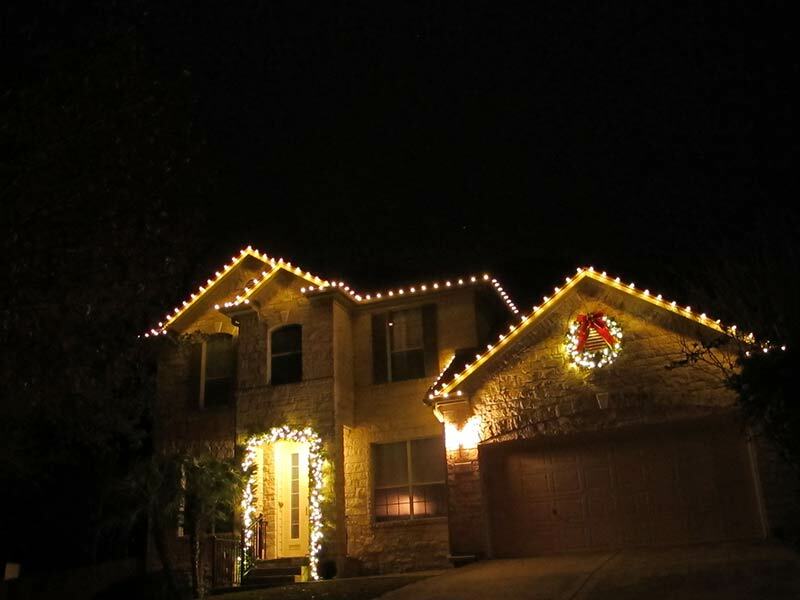 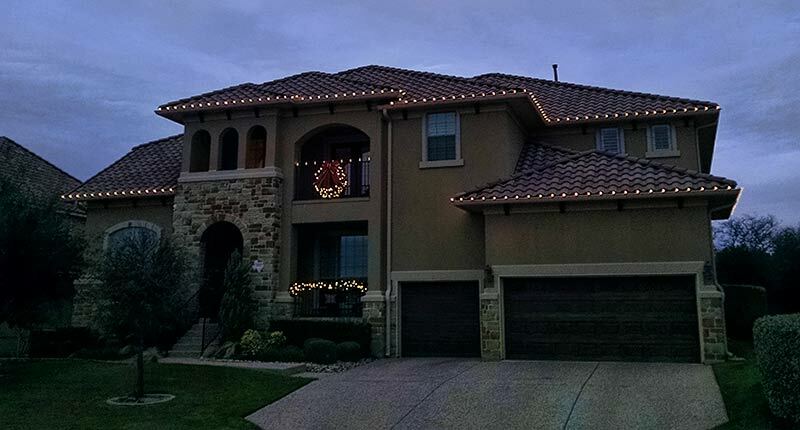 Lighting the outline of the roofline tends to be the number one desired type of holiday lighting to start with. All of the products we use are long-lasting LED products that are very energy efficient and have a three season warranty. 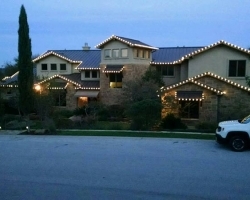 If you have a metal roof, commercial style steel gutters, or other metal features on your home we can often get creative by using either magnetic clips or Litenetics socket cord. 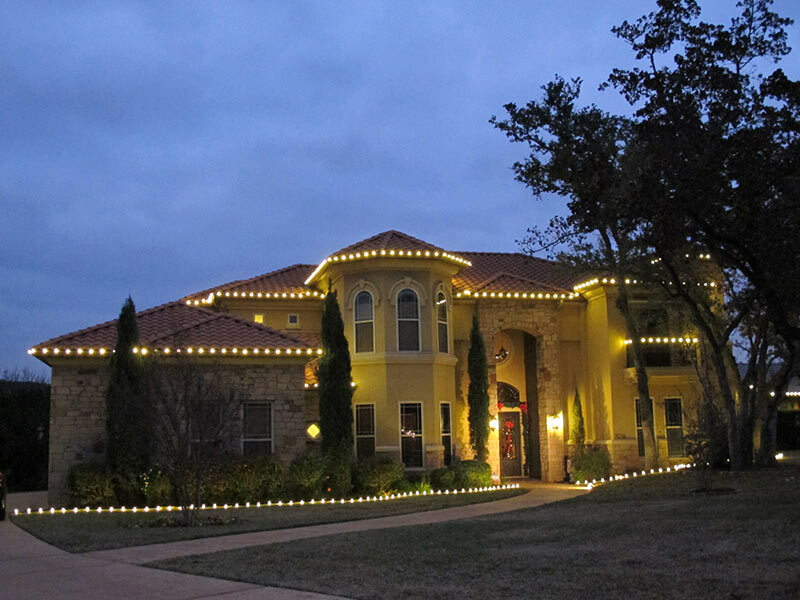 If you want to step things up another notch lighting the edges of flower beds, decorative metal fences, or other objects is often possible. 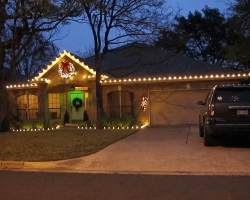 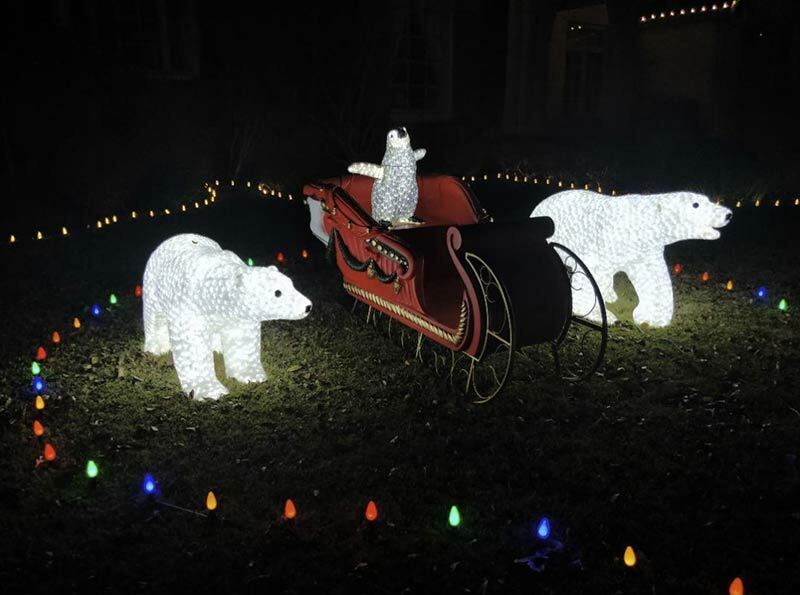 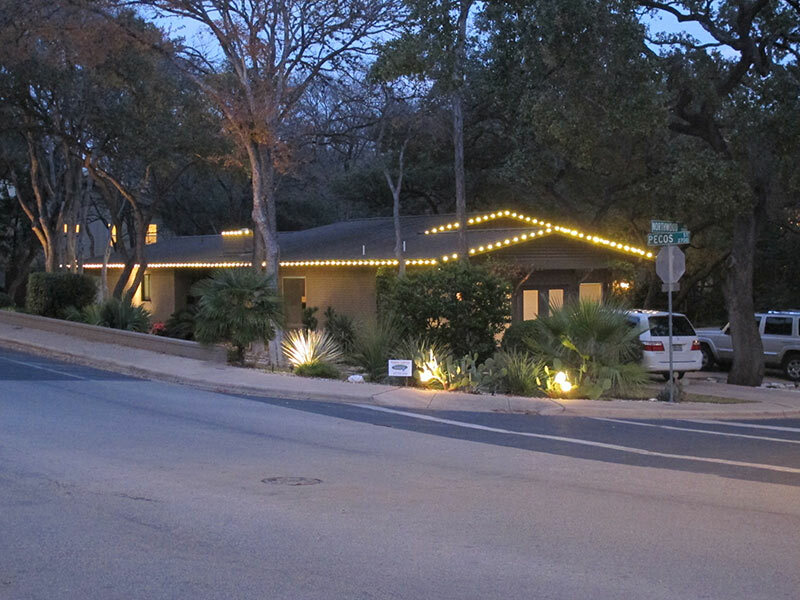 Outlining flower beds is a great way to bring the lighting display down to ground level. 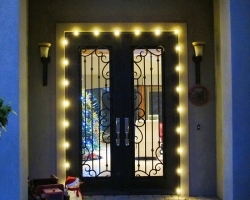 This can add depth to a one story house or prevent have a dark void on taller two story homes. 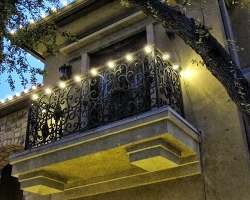 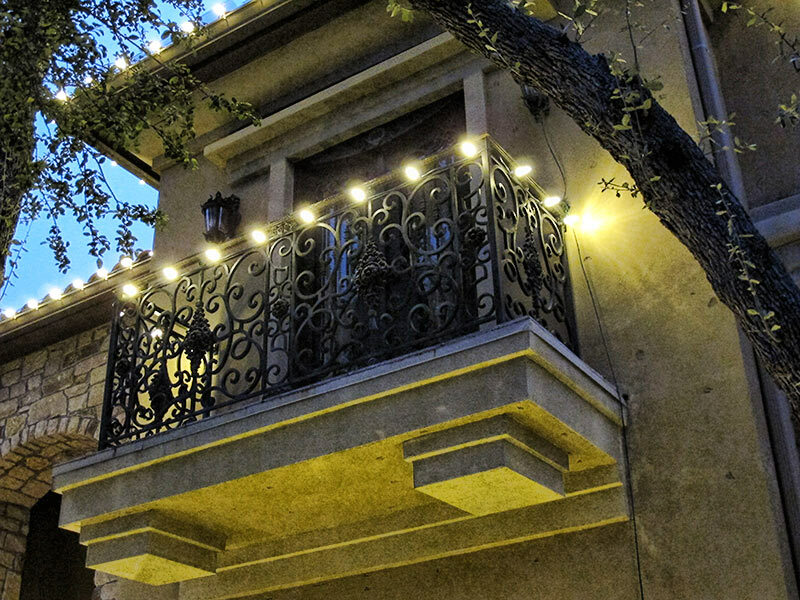 If you have any real or small faux balconies with metal or wood railing they can be lit. 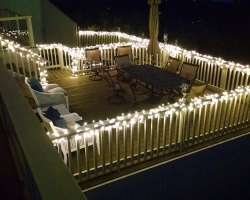 Metal railings can be lit using magnetic clips. 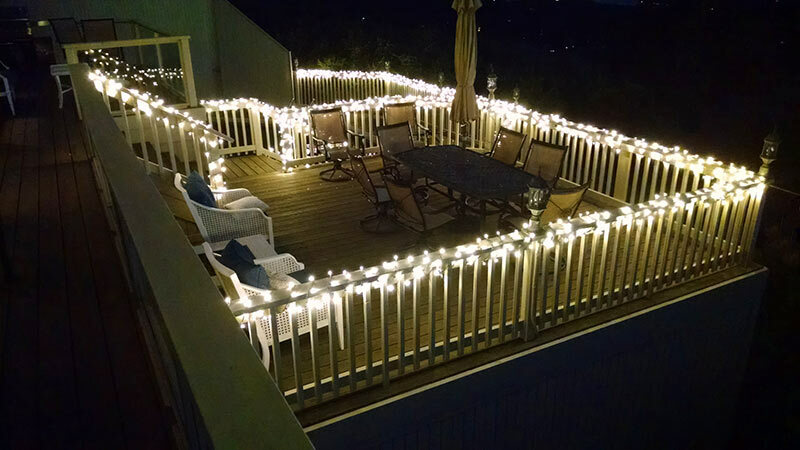 Larger wooden railing can be wrapped with mini lights to create an amazing glowing effect. 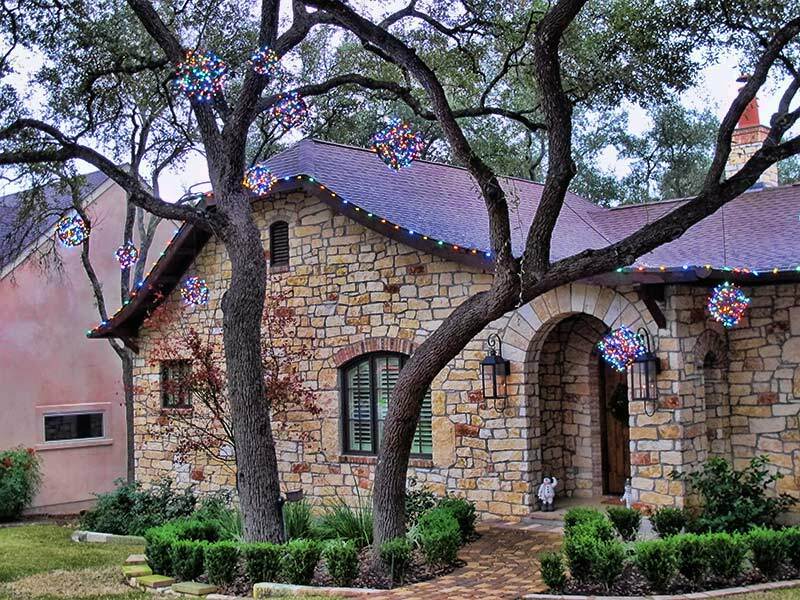 For a big landscape impact, tree wrapping is always what adds wow factor. 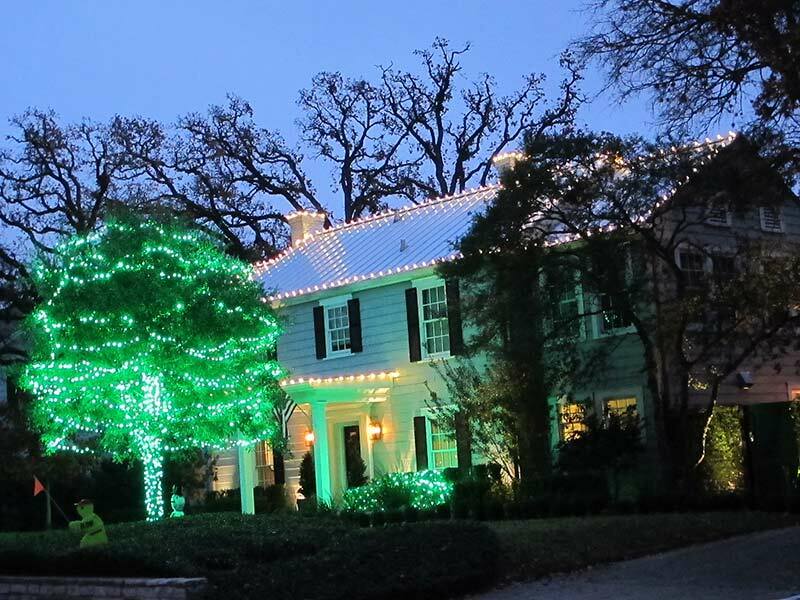 On smaller trees of 20′ or less the canopy cam be wrapped but on larger trees it is usually just trunk wraps that are done most of the time. 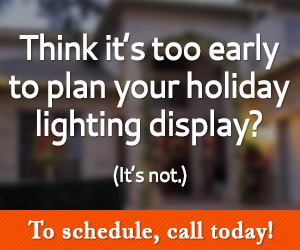 Day time decor is the other thing to think about. 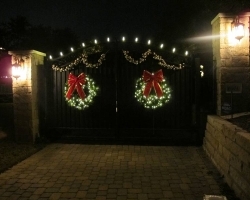 By adding lit greenery such as wreaths or garland you have something that makes a daytime impact as well as a night time impact when the material is lit up. 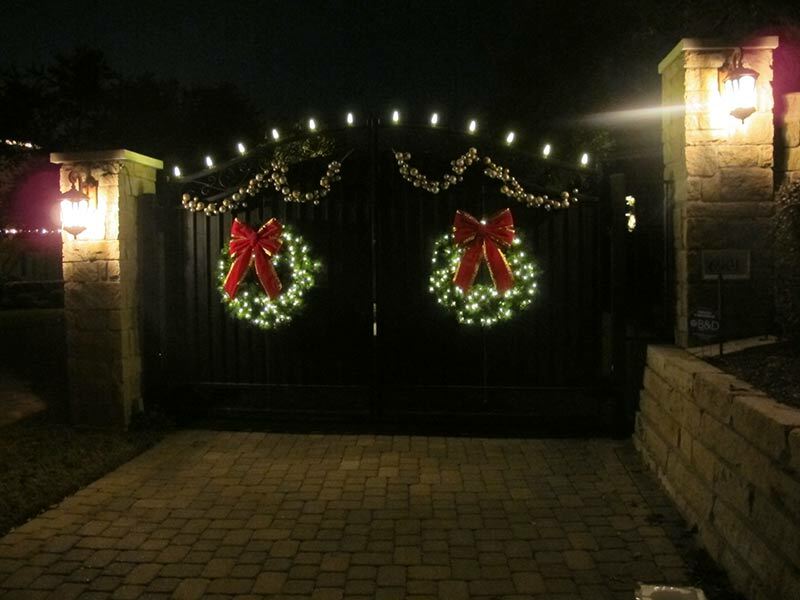 Bows are the frosting on the cake for greenery and really add some festive pop. 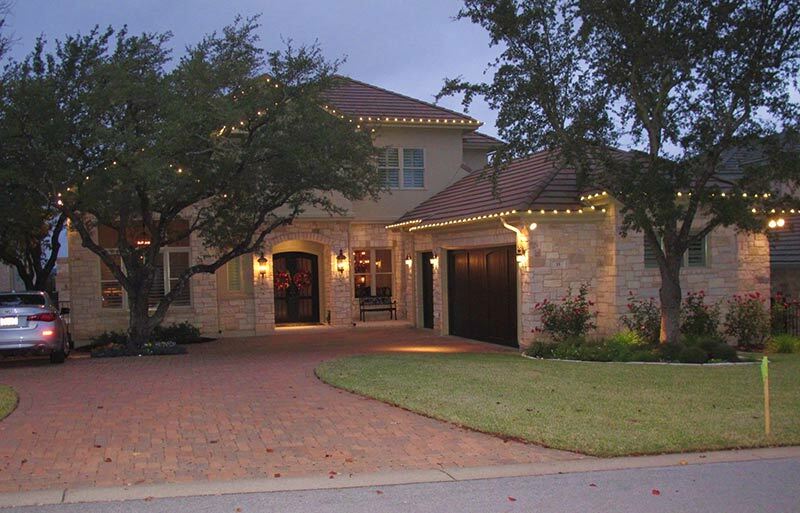 Plantscape Solutions can look at your specific home and come up with a package that suites your specific home architecture and landscape. 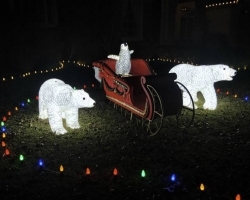 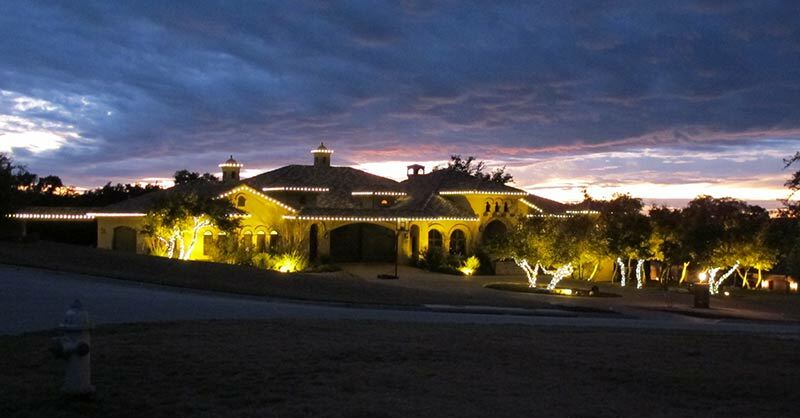 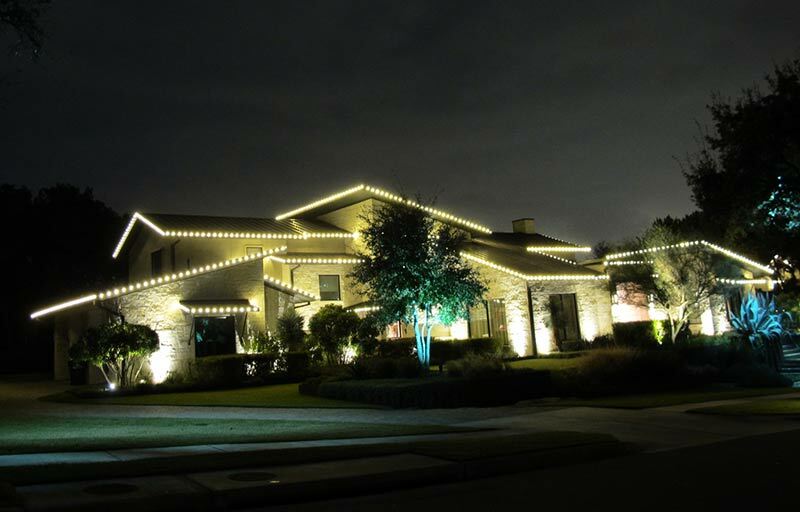 Think of us as your Christmas lighting design specialists. 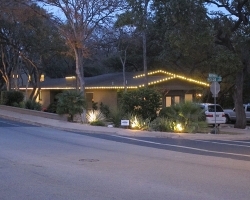 Our work has been featured in Hot on Austin as well as the Austin American Statesmen.